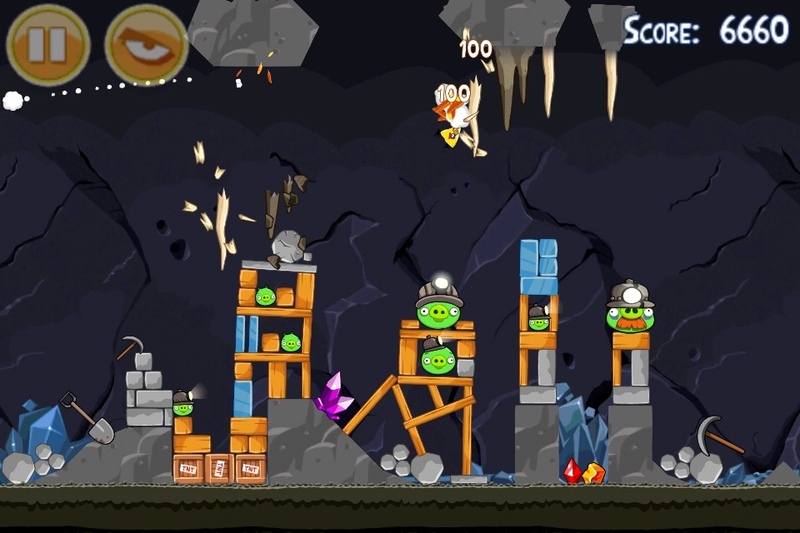 Angry Birds launched their new update for the original Angry Birds today. It has added a new (and different) theme to the Angry Birds world. 15 new levels and more on the way with all new elements like stalagmites. Rovio rules! 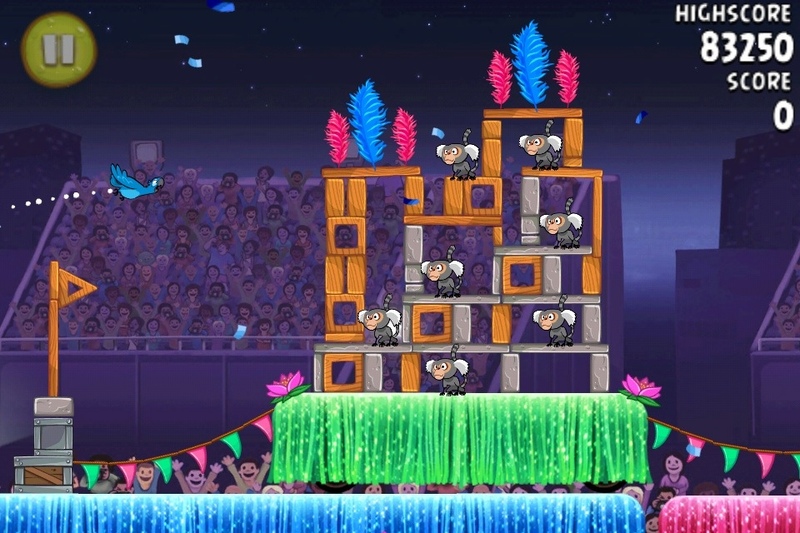 While I was writing E3 posts, a new update for Angry Birds Rio was released. It has added 15 new Samba themed levels (with 15 more in the Samba section coming soon). Also, this update adds a new bird, Blue! Blue fly’s solo in this update (previously him and Jewel flew together) and he has a new ability! Whenever he lands (or you tap the screen) he freaks out and flaps his wings wildly and then falls to the ground. Once again, it’s a free update. 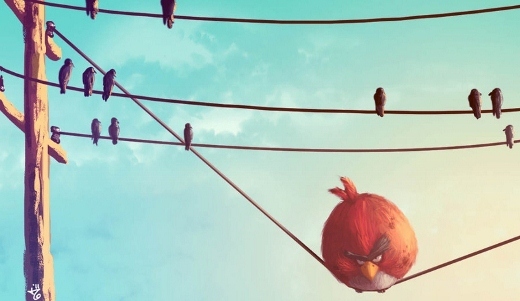 Angry Birds rules! 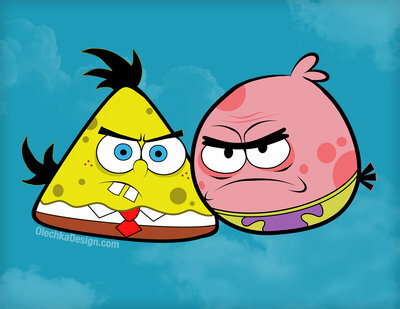 Amid all the E3 news, Rovio announced a new update for Angry Birds, Mine and Dine. It will take place in the dark, damp underbelly of the Angry Birds world and will be released soon. 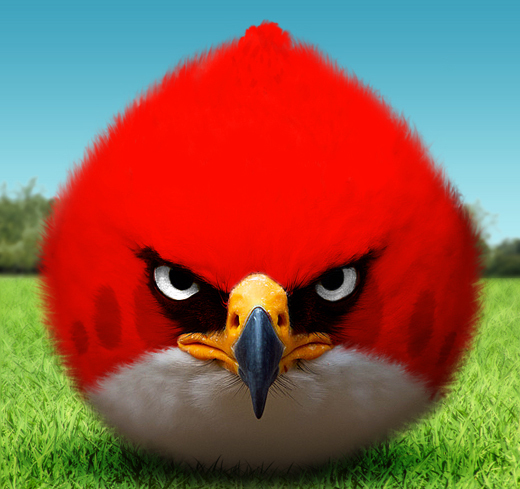 New Angry Birds Rio update! 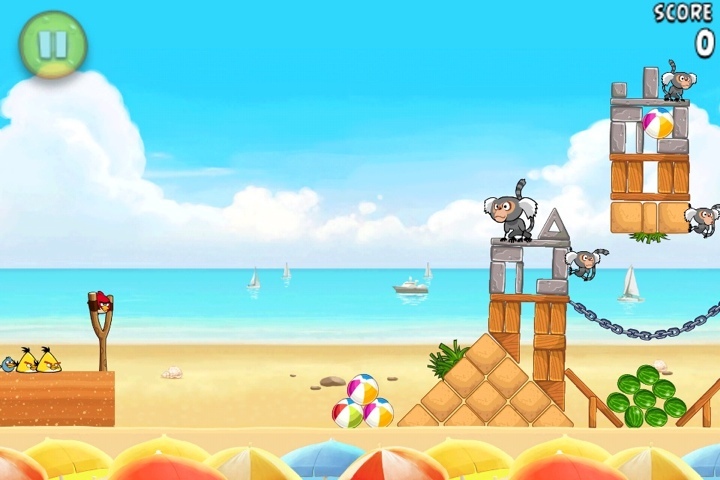 30 new Beach Volley levels! 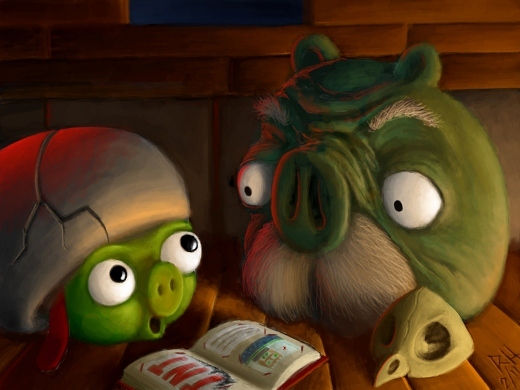 Man, more Angry Birds stuff. 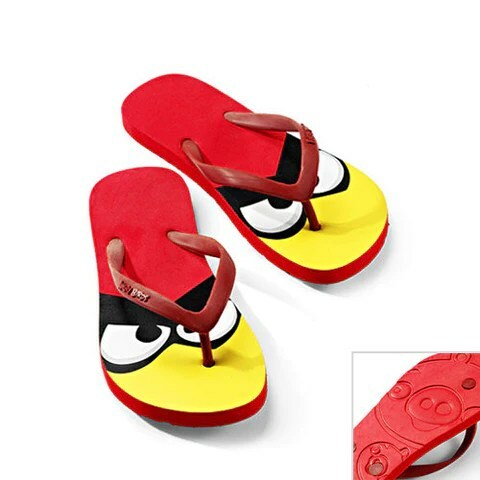 Rovio is crazy, no matter how cool these sandals and ties are. Glad to see the use of Blue and Jewel. Hope they add a new boss soon. 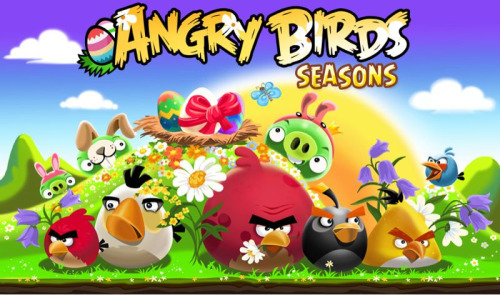 Angry Birds Seasons new Easter update! 18 new levels and more golden eggs! 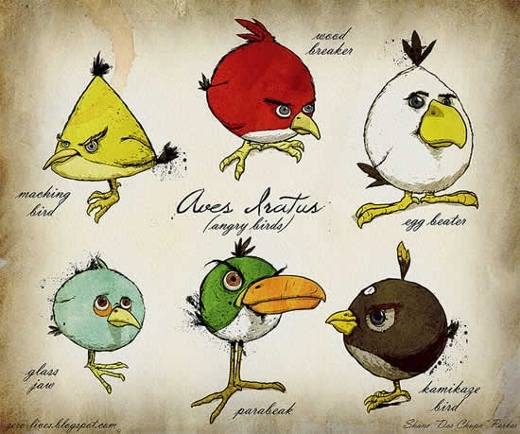 You are currently browsing the archives for the Angry Birds category.